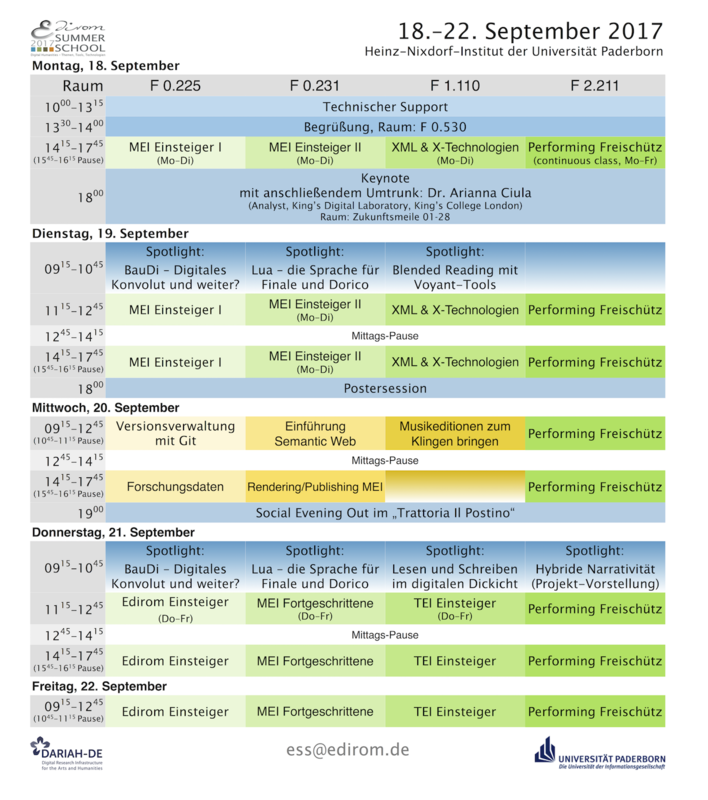 Besides classes for the format of the Music Encoding Initiative (MEI) and the toolset for digital music editions Edirom for beginners and advanced users, the ESS 2017 will have classes for XML & X-Technologies, TEI for Beginners, Version Control with Git, Research Data, Introduction to Semantic Web, Rendering/Publishing MEI and "How to bring music editions to be heard". A special highlight is the continuos five day class Performing Freischütz. On monday 18 Sep 2017 at 6 p.m. Dr. Arianna Ciula will give a keynote on Modelling in theory and in practice: sampling digital musicology projects.